However you could reject that and look further afield, and if you went down this dusty road you would eventually find a ramshackle old building with noise and light pouring out into the dark. It’s a place you just fundamentally want to go into, and this is the Penguin Cafe. There are long tables and everyone sits together, and it’s very cheerfully chaotic. In the back there is always a band playing music that you are sure you’ve heard somewhere but you have no idea where – and that is the Penguin Cafe Orchestra – they play this music. 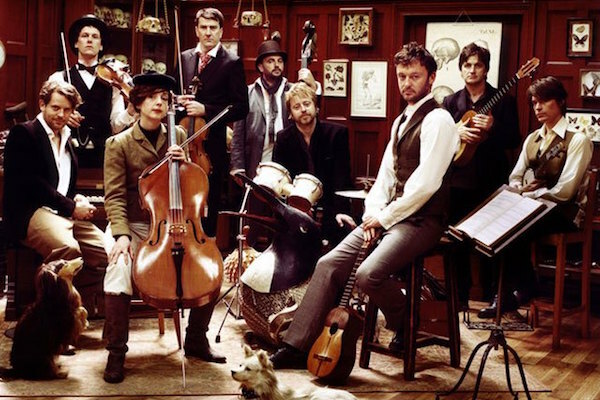 Penguin Cafe was founded by Arthur Jeffes in 2009, bringing together a talented and disparate group of musicians from the likes of Suede, Gorillaz and Razorlight, initially to perform his father Simon Jeffes’ legacy of world renowned Penguin Cafe Orchestra music, ten years after his untimely death in 1997. Arthur, a talented composer in his own right, quickly began to create new and unique genre-defying music, with the spellbinding philosophy of the Penguin Cafe always in his mind. Arthur utilizes many different instruments and influences including elements of African, Venezuelan, Brazilian, Bluegrass, Classical, Avant-Garde & Minimalist music, using a variety of instruments from strings, pianos, harmoniums, slide guitars, cuatros, kalimbas, experimental sound loops, mathematical notations and more. 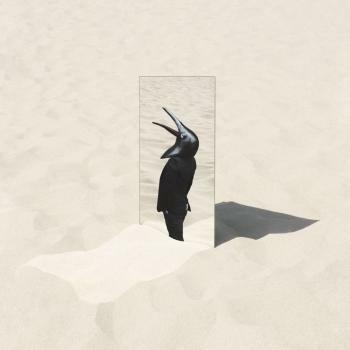 To date, Arthur’s Penguin Cafe has released two acclaimed albums of fresh, innovative and beautiful music that have achieved the seemingly impossible feat of creating something new and different and still exciting the worldwide fan base of original PCO followers. The new album ‘The Imperfect Sea’, a collection of dance records made on real instruments, is due for release May 5th 2017 accompanied by a special show at Le Poisson Rouge in New York, followed by more live dates across UK, USA, Japan and Europe throughout 2017. Arthur William Phoenix Young Jeffes born 21 July 1978, London is an English composer, producer, musician and arctic explorer. He is the founder and frontman of the Penguin Cafe and is one half of the band Sundog. Other work includes composing film scores and most recently producing Sam Lee’s new album out in 2015. Jeffes was born in London to the artist Emily Young and musician and composer, Simon Jeffes. Jeffes’s interest in experimental music was recognised by his father when he took a hammer to the keys of his father’s piano. While both of his parents nurtured his musicality he was encouraged to base any career on a strong academic background. He read Archaeology and Anthropology at Trinity College, Cambridge. In 2007, Jeffes brought together original members of the PCO for a set of memorial concerts to mark ten years since his father’s death. Encouraged by the public’s response to the concerts, Jeffes decided that keeping his father’s music alive and adding to the mythology behind the band was a worthwhile endeavour. He founded the Penguin Cafe with a brand new line-up, including Cass Browne of Gorillaz, Neil Codling of Suede, Oli Langford of Florence and the Machine and Darren Berry of Razorlight. They have released two albums, A Matter of Life… (2008) and The Red Book (2014). 2017 sees Arthur releasing the new Penguin Cafe album with extensive touring, alongside animation and dance projects.